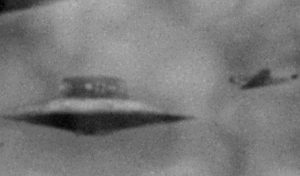 The US Government started to Release Official Video Footage, Pictures & Documented Evidence of UFOs. Confirming for the first time that UFOs now also called UAP Are Real. China was the first major country in the world to do so and now the US is following too but only by drip-feeding and controlling the articles and who is allowed to speak unofficially for them. It also means the end of the story we had been told that nothing can travel faster than the speed of light. Part of the information is that the UFO or UAP have been around a long time meaning that others including NASA have been deliberately withholding important information about it. 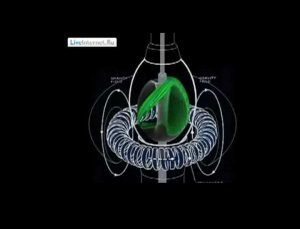 The fact now that there is another much faster way to travel be it wormholes or warping space and according to Jack Kasher, Ph.D, Professor Emeritus of Physics, University of Nebraska the extraterrestrials are proof of that. Also that these crafts have been around for a long time but their existence official denied, question Why? 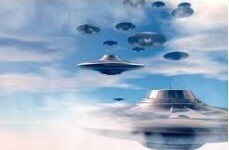 When Ex Canadian Defence Minister Paul Hellyer said that UFOs are as real as the airplanes flying overhead, it was suggested that he was joking. Time itself as we know it is simply an arbitrary measurement of the motion of objects through space. However, Space itself is not linear nor the movement of most objects. Objects, or energy masses, in space, do not necessarily move in a linear fashion. In this universe, objects tend to move randomly or in a curving or cyclical pattern. The alternative is to look at time as compressed energy and as such constant in our physical universe. We currently live most of our lives in a 3-dimensional world, which physics calls “3-space.” and put a limit to our capabilities. 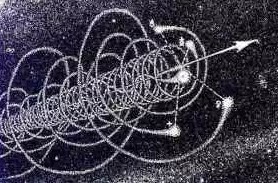 But now there is also space-time, or 4-space, or the “4th dimension.” Then suddenly came the amazing realization as mentioned before by Airl that time itself is actually compressed energy. And compressed exactly the same factor by which matter is considered to be compressed energy: the speed-of-light-squared! and our bodies part off. So we have a new companion to the famous E=mc2. It is now paired with E=tc2 (where t is actually “delta-t,” or change in time). There are several reasons for the cover-up of the presence of extraterrestrials and flying disk & technology, but the most plausible one was mention during an interview by a captured extraterrestrial in Roswell 1947. Again denied in every way possible. Airl the pilot of the flying disk was sent on a reconnaissance mission because of nuclear testing there. ( New Mexico) These explosions are monitored throughout our part of the universe. His disk was struck by lightning and this brief disruption caused his craft to crash. What Airl told Matilda was: Earth is a prison planet, and structured in such a way that no soul/spirit can escape. He told Matilda that;”Every once in a while, a few million years, an area or planet will be taken over by another group of spirits or souls entering into the area”. 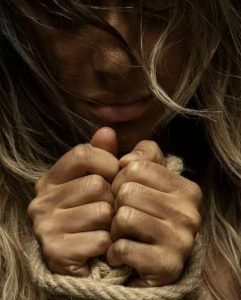 Sometimes they will capture other spirits and use as slaves. They will then be forced to inhabit bodies (incarnate) to perform menial, or manual work – especially mining mineral ores on heavy-gravity planets, such as Earth. The Domain Forces itself lost three thousand of there own people on earth which were handled in the same fashion as all other human-based souls or spirit who had been sent here or exiled on Earth. It looks a bit far fetched but you have to remember that the life force or spirits are immortal and cannot die. The only way to isolate them is containment. We all did stand trial once far from earth, where convicted, memory erased and to be located far away from home for eternity. After being convicted on their home planets each one of us had his memories erased using electroshock, these memories replaced with false pictures and hypnotic commands, installed, then transported in the spirit form to Earth to inhabit biological bodies. This tremendous shock completely wipes out all the memory of the souls. The memory erasure is not just for one life or one body. It wipes out the all of the accumulated experiences of a nearly infinite past, as well as the identity of the life-force, spirit our soul. So, when the body of a human dies the soul with spiritual part depart from that body. They are detected by a “force screen” placed in suited locations when captured and “ordered” by installing hypnotic command to “return to the light”. The idea of “heaven” and the “afterlife” are part of this hypnotic suggestion – a part of the treachery that makes the whole mechanism work. Some souls do manage to avoid capturing for prolonged periods of time by staying earthbound, close to relatives and friends. 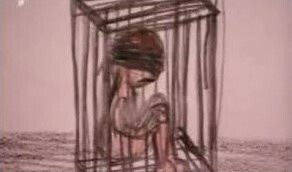 many are women’s who decide to stay and keep an eye on their children try to help and protect. The Old Empire is gone but the prison operators seized the opportunity to continue by seizing power and command. The Annunaki themselves had contracted this activity to other and members of their secrete policy because of its ugliness. This tremendous electro-shock completely wipes out all the memory, not just for one life or one body but all of the accumulated experiences of a nearly infinite past, including there identity. That is important to make sure and impossible for the spirit to remember or discover who they are, where they came from, their knowledge or skills, their memory of the past, and also the ability to remember and properly function as a spiritual entity. First reduced into a mindless, robotic nonentity a than programmed with a series of post-hypnotic suggestions plus false memories, and a false time orientation. This, for example, includes the command to “return” to the base or light after the body dies, and the treatment repeated, again, and again, again – forever. One of the other hypnotic commands is to tells the “spirit” to forget to remember. He Airl the Alien told many more things but the military was not happy because he refused to directly answer their questions as such. Providing very valuable information but not what they wanted. Tried to make him more cooperative by applying electro-shock. End of the story and the military left with a lifeless body. No one in government ever to admit to this. able to manipulate space-time or warp in 1945-1946. 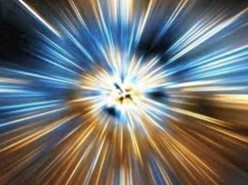 We do know for some time that the speed of light does not apply to everything. There are a number of applications as the transfer of ‘information’ possible at a speed far greater than the speed of light, or even better, something completely instantaneous. 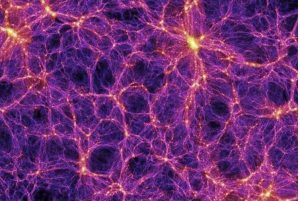 Only possible when all points in space are connected, that means also that vast distances between places are simply an illusion. Back to Germany and their space program. It was this group that did developed by 1939 a revolutionary electro-magnetic-gravity engine using an improved Hans Coler’s free energy machine into an energy Converter coupled to a Van De Graaf band generator and Marconi vortex dynamo (a spherical tank of mercury) able to create on rotation a very powerful rotating electromagnetic fields affecting gravity and reduced mass. At maximum strength this field would be independent of all surrounding universal forces – like gravitation, electromagnetism, radiation, and matter of any kind – and could therefore maneuverable within the gravitational or any other field at will, without the acceleration forces being effective or perceptible including through water even at great depths. The Thule Society was created on August 17, 1918, and the Vril Society formed soon after as an off-shoot. The latter was formed by female mediums who used their psychic skills for communication with ancient subterranean or extraterrestrial civilizations. Researchers have long been wondering from who but because of the instruction received most likely beings from the Aldebaran System, the original Anunnaki. Is it possible that Vril Power is able to “bend time”? Be able to create time (energy) was on the wish list of the Germans. Maria Orsitsch was born in Vienna. 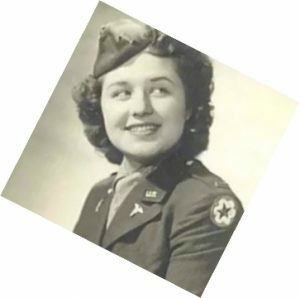 Her father was a Croatian, and her mother was a German, from Vienna. Maria Orsitsch was the head of the ‘Alldeutsche Gesellschaft für Metaphysik’ (The All German Society for Metaphysics), founded in the early 20th century as a female circle of mediums who were involved in extraterrestrial telepathic contact. The society was later renamed the ‘Gesellschaft der Frauen des Vril’. 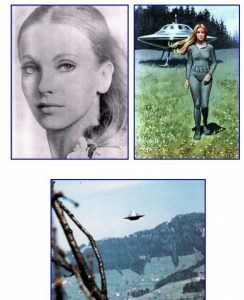 In 1917 Maria Orsitsch is said to have made contact with extraterrestrial entities from Aldebaran with her female Vril circle. At the end of September 1917, Sebottendorf met with members of the “Lords of the Black Stone” at the Untersberg to receive the power of the “Black Stone”, after which the secret society was named. In December 1919 a small circle of persons from the ‘Thule Gesellschaft’, the Vril Society and the DHvSS – Die Herren vom Schwarzen Stein (The Lords of the Black Stone DHvSS – said to be the true meaning of the use of the double sig rune SS), met in a specially rented forester’s lodge near Berchtesgaden, close to the home of Dietrich Eckart – (and here is the direct link with Hitler) and close to the Untersberg. Through this alleged alien contact, the Germans able to launched exploratory searches for esoteric occult knowledge and advanced ET civilizations, including the far-off frozen land of Antarctica. In 1939, Captain Alfred Ritscher of Nazi Germany found the Antarctica entrance into part of the Inner Earth. Inside the sarcophagus were instructions how to build the “Vril-Odin” spacecraft. The “Vril-Odin” was built using these instructions and was up and flying in the fall of 1944-beginning 1945. On board, the craft was Reichskanzler Adolf Hitler. Chronological; The Vril 7 Geist (Ghost) which was 45 meters in diameter and crewed by fourteen men. It was built in 1944 and tested at Arado-Brandenburg using Vril’s own Triebwerk. Later to be used initial flying into a wormhole located near the South Pole. The Thule, Vril, and Hitler left Germany for Base 211 in Antarctica. All of Hitler appearances during the last year of the war were done by his doubles. The Black Sun society cooperated closely with the Thule, Vril and other secret societies forming the now new breakaway German faction in Antarctica and South America. 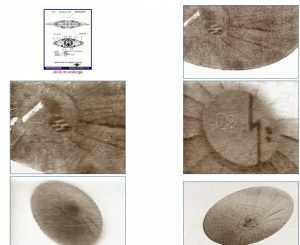 The Vril 8 Odin was the last official Vril disk that was flight tested in the spring of 1945 during the collapse of Germany. The destination of the flight of Vril-Odin was Sumi-An in the Aldebaran solar system.” The flight to take less time than by plane from Shannon to New York. It was Airl who told Matilda that his disk could travel thousands and thousandths of light years in one Earth day. In addition Captain Alfred Ritscher found the “ILAT-LITUM” plates in the sarcophagus located on the coast of Neuschwabenland including a number of other technical devices. The “ILAT-LITUM” itself was divided into several engraved metal plates or tablets, brought to Berlin and decoded into German by some experts from the Orient. 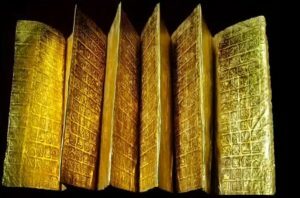 When the plates were found, no one could read them, because they were in Sumerian/Akkadian specialists from the Orient had to be brought in, most from Tibet. The Thule allowed the publication of the translation of the Ilat plates but only the documents relating to the history including the arrival and landing of the Annunaki on earth and fight/decimation of the until than dominating Reptoids or ones. The history of our (Annunaki) gods from arrival and hastily leaving including there possible return. It would take up to much space here but write about it separately. Important here is to realize that the Odin was able to navigate in a timeless space (hyperspace), as well as to assess the upcoming events.Complicating the whole picture because now we have Extraterrestrial as Airl and others but also human build crafts and guess who is who. To use the warp drive you have to generate enough energy to create warping space and pull the craft out of the vacuum. The Germans did.